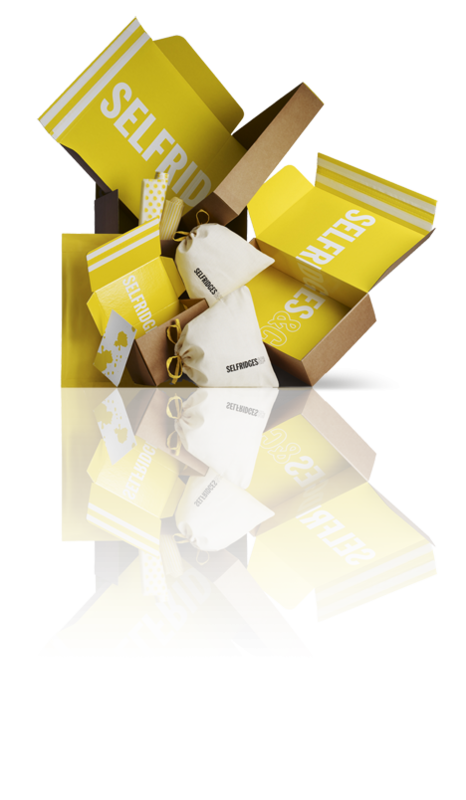 The Selfridges plain box turns into a wow factor box when opened, giving an element of surprise and instant good feel factor about the brand. The packaging is as good as the product inside, showing that Selfridges care about their customers. For their online packaging it is vital that the brand identity has maximum impact, particularly for their international customer base who may never have visited a Selfridge’s store.